Many features that cost money in competitor golf gps apps are included free in Golf Pad GPS. Like instant distance to front/middle/back of the green, detailed scoring for up to 4 golfers, aerial maps with flyovers, tee-to-green shot & club tracking, and more. This is a fully-functional golf gps range finder app. It is NOT a trial or demo. Play as many courses as often as you like, anywhere in the world. It's FREE and will be free forever. 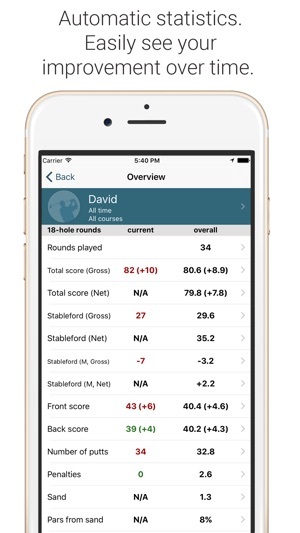 Get extended statistics, smartwatch sync and handicap scoring with Golf Pad Premium upgrade for only $19.99 per year. 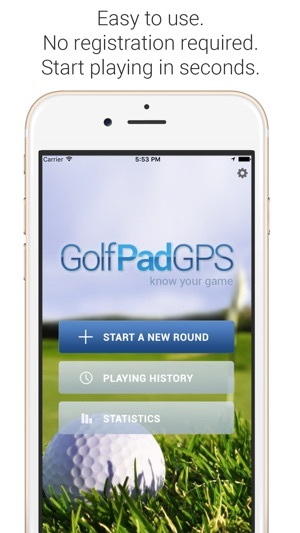 We are always adding user requested features and making Golf Pad GPS even easier to use. If you have a feature request, a question or need help, see support.golfpadgps.com. We’ll be happy to help! Was your favorite course recently updated? Golfing at a brand new course? We have over 40,000 world-wide courses. In the unlikely event yours is missing, you can map it in few minutes on your own computer: scout.golfpadgps.com. Problem with an existing course? You can edit it right from your phone. Just start the round there and pick 'Course Incorrect' in the menu. 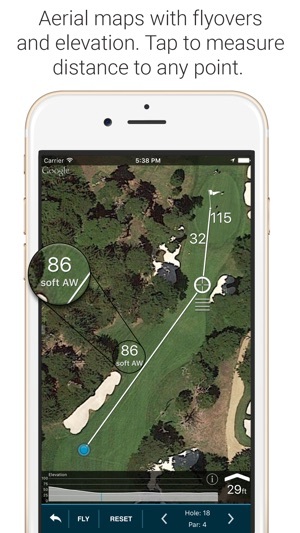 Join over 2 million golfers who chose GolfPad GPS range finder & scorecard over SkyDroid, Free Caddie, GolfShot, Swing by Swing, SkyCaddie, GolfLogix, GolfNow, 18birdies, Hole19 and other golf gps navigator apps. Learn more at http://www.golfpadgps.com. 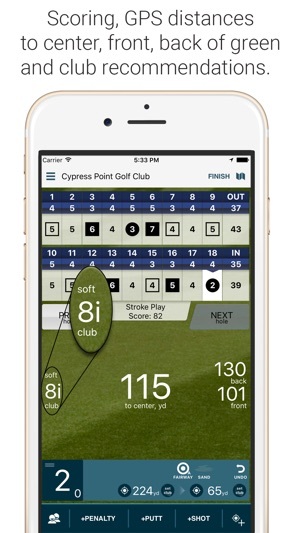 Golf Pad Premium requires $19.99 annual subscription that can be purchased in-app and is renewed automatically, unless cancelled at least 24 hours before the end of the current period. Payment will be charged to iTunes Account at confirmation of purchase. You can manage your Golf Pad Premium subscriptions through your iTunes account. Playing history export is now available! Download your playing history in CSV format and analyze with Excel, Google Spreadsheets or other software. Simply go into Golf Pad preferences / Data export to start the download. I like this app a bunch. Been using it for a couple years. When able, a couple times a week. Compared to other golf gps apps I’ve tried, it is the easiest on my battery. I have used this app for two straight rounds in one day and was even playing music on the same device simultaneously and still had plenty of battery life. As previous comment, I have had delays or glitches on it populating distances, sometimes having to go back and forth between screens for it to come up. But it is still reliable and worth using. One recent complaint that I have which is really irritating and why I only give this 3 Stars, is due to the logging of scores for multiple players. Guess during one of the updates this changed. 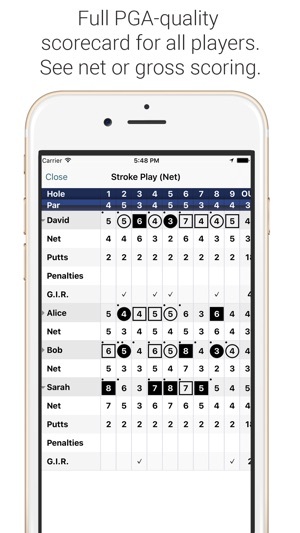 But now when inputting multiple players scores per hole it only saves the last persons score that you input. The work around is, you have input and save each individuals score, one at a time. I have to input my score on hole 1, save and then do the same for everyone else. And even then it still does not save scores properly. So lately I have had to get someone else to manually keep score on paper then go back and fill in the missing scores. So at this point it has not been very reliable. I didn’t even use it my last round due to this timely issue. Hope this gets fixed soon so I get back to using and referring this app. The support team is very responsive. This app has had its growing pains but being in the software industry I understand. The link device for the iPhone still locks up when I try to turn it off but it’s easily reset. This is a good way to track your shots and distances. It gives you an accurate reading on how far you hit each of your clubs. I haven’t had any issues with the tags themselves as other people reported. 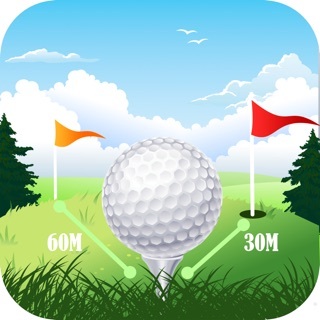 I used to use golfshot GPS and with this app I don’t have to remember to track each shot. I just click the club in the link device and it tracks the distance until I click my next club. The link device also lets you mark the flag position. The only thing I would like to see improved is the distance of my last putt. I usually make my first putt and when I miss it I go and mark the flag position and then click my putter to the link and mark my last putt location. This usually gives some bogus distance. For example I can click the hole position and in the same spot click my putter to the link and it tells me my last putt was something crazy like 8 yards. A minor inconvenience. You can also play an entire round bd without using the phone By just clicking clubs on the link device. I haven’t tried to play entire round this way but I have played several holes and it does work well. I use the app a ton. It’s the best App for the Apple Watch. It does take a few seconds to lock in distance and sometimes I have to check twice because it will change after I look at it the first time. Not a big deal. My only true complaint is that the app isn’t set up to utilize the cell signal on the Series 3. One of the main reasons I got the Series 3 was because my Series 2 would disconnect from the phone if I walked to far from the phone and this is fairly common when I go to putt or if my partner takes the cart with my phone in it. So I have to keep my phone in my pocket. Three times now it has fallen out of my pocket while driving and I didn’t realize til I got to my next shot or hole. I would have to go back and search the fairway. The app doesn’t connect to the cell on the Series 3 so it can still happen.